Tada! A surprise post on Oscar Sunday! 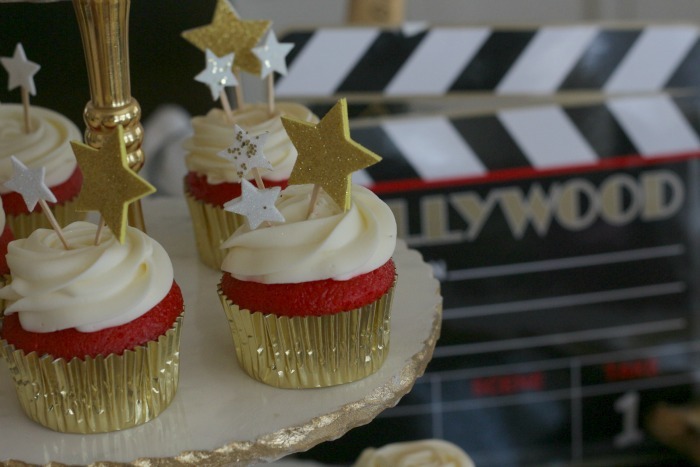 I’m throwing back to a couple of years ago when I blogged about how to host a fabulous Oscar’s Party. 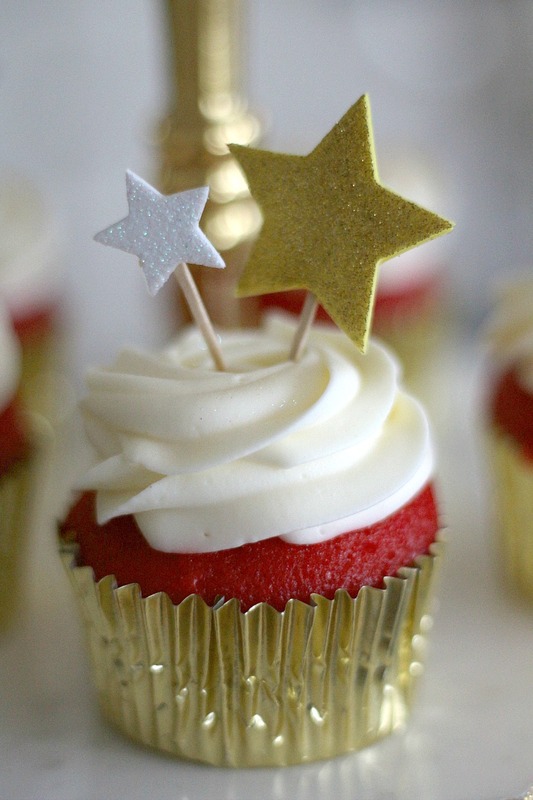 These red velvet cupcakes are gaining fame on Pinterest, they have been pinned 65,000 times! 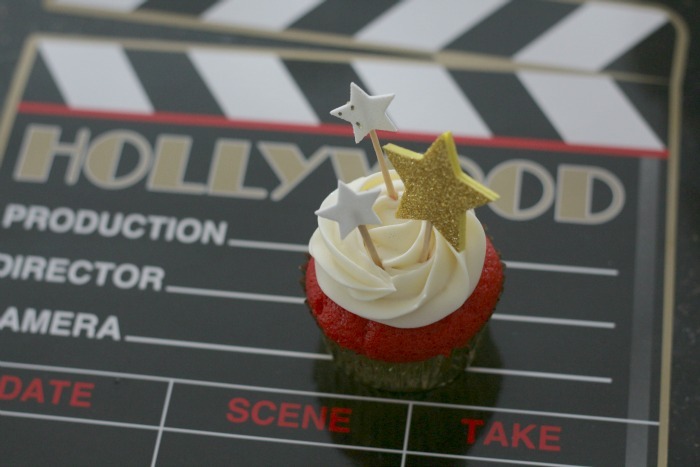 JFYI – This post was just one in a series of posts about throwing a fabulous Oscar Party. For more ideas and inspiration, use the SEARCH box in the upper right side of my blogsite and type in the word OSCAR to see all the other posts. 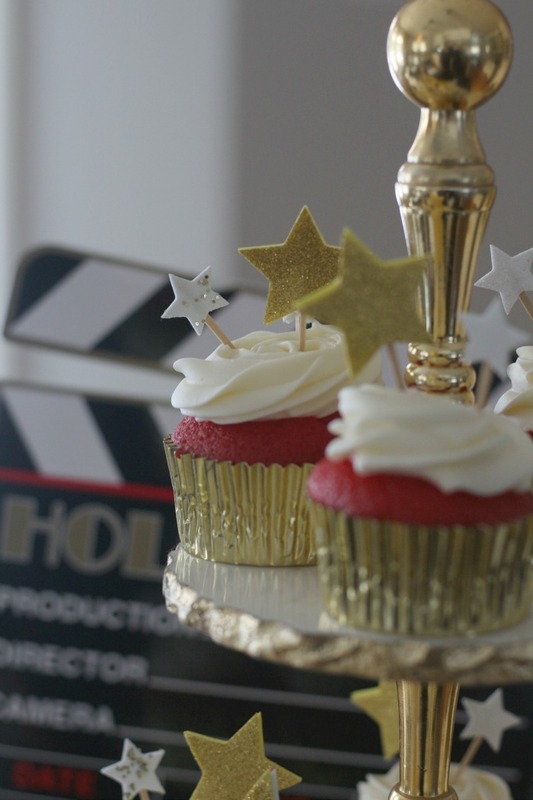 Today is the final post in a week-long series dedicated to hosting a fabulous Academy Awards Viewing Party. 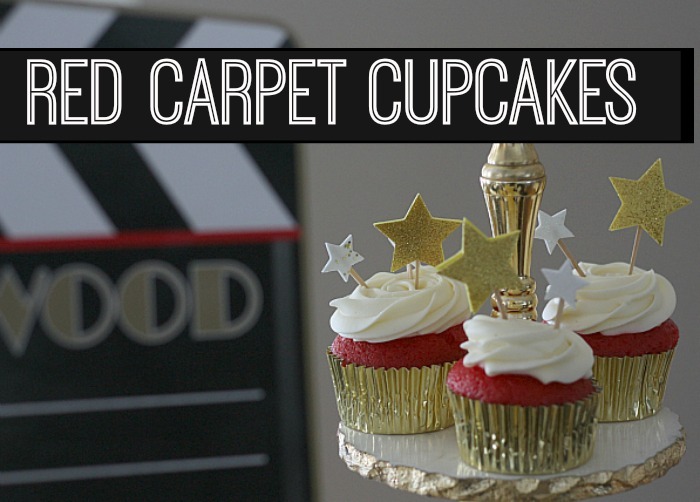 We’ve covered everything from setting up a self-serve, yet delectable sandwich bar, to a movie theatre candy and popcorn bar, to glamming up champagne glasses with cute DIY tuxedos! I wanted the sweetest ending, so we saved the dessert course for last. 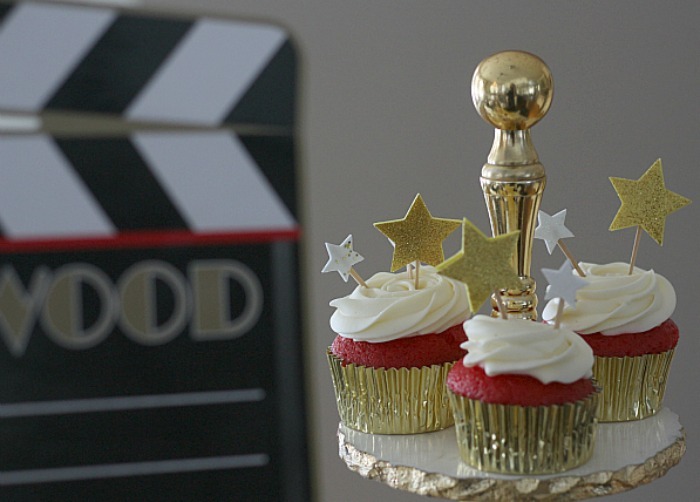 In honor of my favorite part of the Academy Awards, we are featuring “Red Carpet” Cupcakes with a champagne cream cheese frosting. I love to bake, but on special occasions, I turn to Alina’s Patisserie in Fairfield, Connecticut for expert advice and tips from a pro. The Oscars is Hollywood’s most exciting night where everyone pulls out all the stops, so we thought we should too. Alina and I collaborated on a few flavor combinations and settled on cupcakes made with a classic red velvet cake batter. 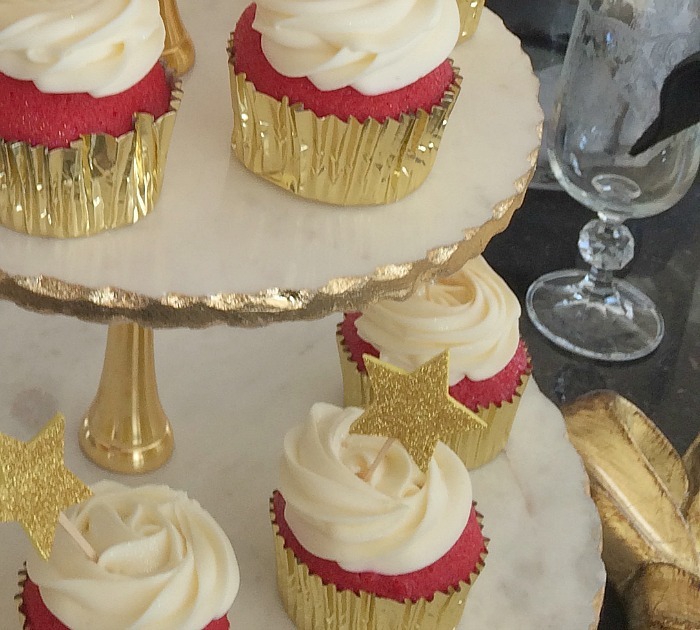 She used traditional cream cheese frosting that pairs beautifully with red velvet cake, and we elevated it by infusing the frosting with real champagne. We wanted the red cupcake to show, so they were frosted with rosettes made a little smaller than she normally makes. 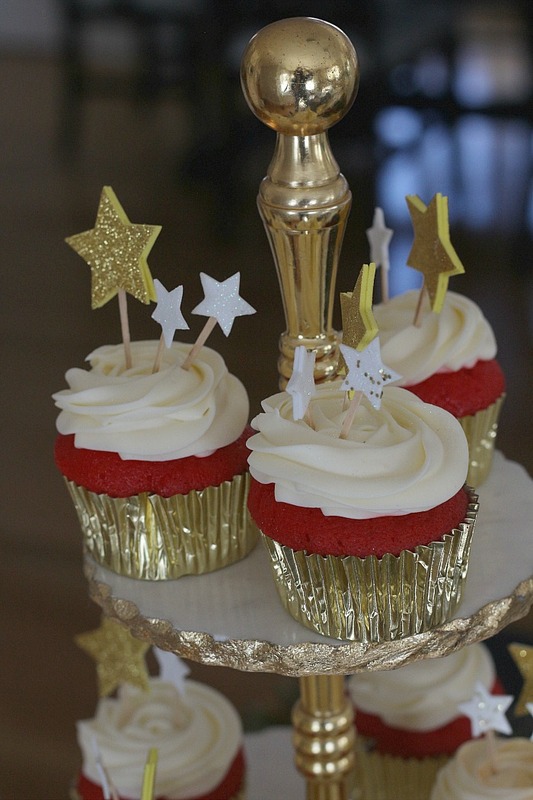 The Oscar theme this year is “We all dream in gold” and I loved Alina’s idea to use gold foil cupcake liners. 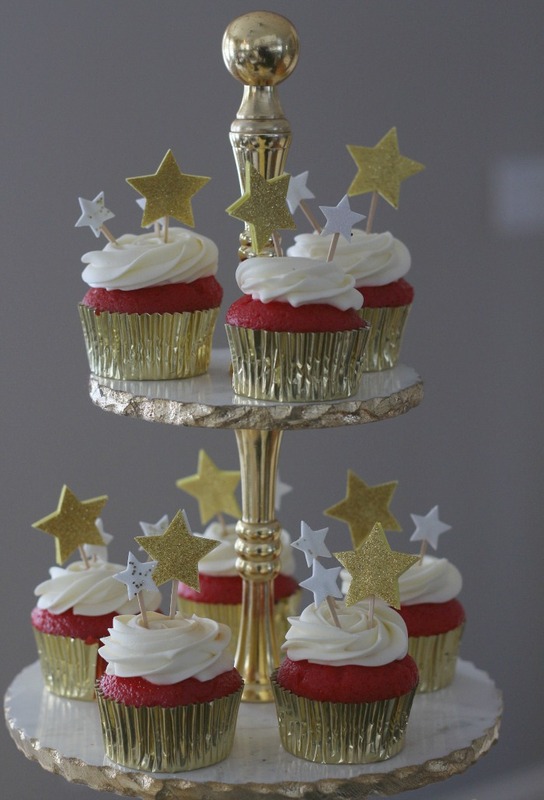 When I got the cupcakes home, I sprayed them with Wilton Gold Mist to give them some shimmer. 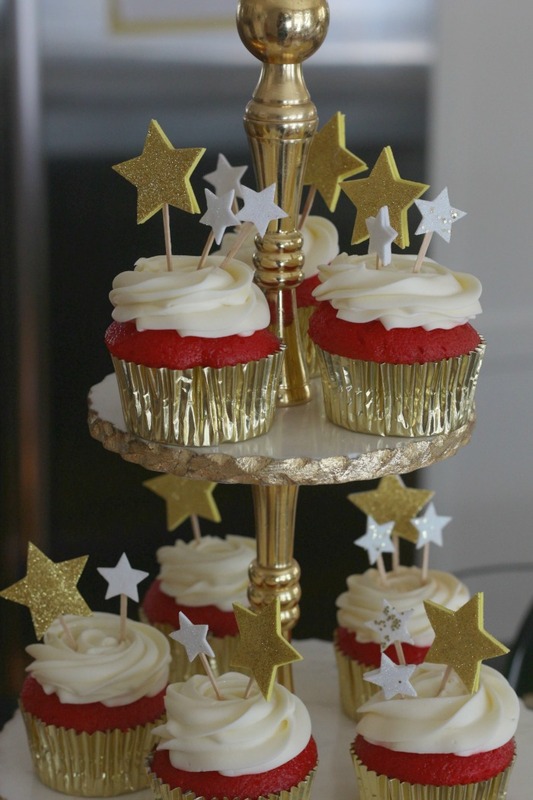 They were finished off by adding star toppers made from adhesive stars and toothpicks. If you liked this post, please take a moment to “Like” us back on Facebook. Click HERE to take you to the Connecticut in Style Facebook Page. Thank you so much!